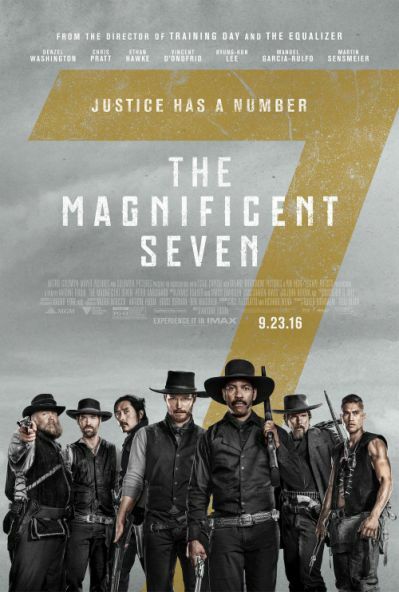 ​The Magnificent Seven, directed by Antone Fuqua, and starring Denzel Washington and Chris Pratt, follows a bounty hunter (Chisolm) and six members of aquaintances as they help to protect a local western town from a rich industrial tycoon. This movie was a lot of fun to see. It was well executed and the overall production was presented and delivered in a very authentic manner. The multicultural cast was just perfect and the on screen chemistry gave off a natural vibe as the movie goer watched the story unfold. The score was engaging and the mood of film was pure and reflected a feeling of old school adventure, something that most remakes lack. I thought that the movie was well done and exciting. It was a nice change from all the horror and drama that has been on the silver screen lately. It was refreshing to see a cross of classic 90’s Hollywood actors like Denzel and Ethan, work with modern Hollywood actors like Chris Pratt. For those people who are not familiar with the 1960’s version, you will not feel like you missed out when watching this version. The movie had a great blend of modern film aesthetics while still staying true to the naturalness that the time period represents. The effects were not overwhelming but was done in a way that sharpened the story-telling process. Before the movie was over, I was hoping that a sequel could be possible, but I think this was a stand alone film. This is a must see, if you are looking to have fun and be taken away to the past. I give this movie 5 stars. ​Don’t Breathe directed by Fede Alvarez and produced by Horror Legend Sam Raimi, stars Stephen Lang and Jane Levy. 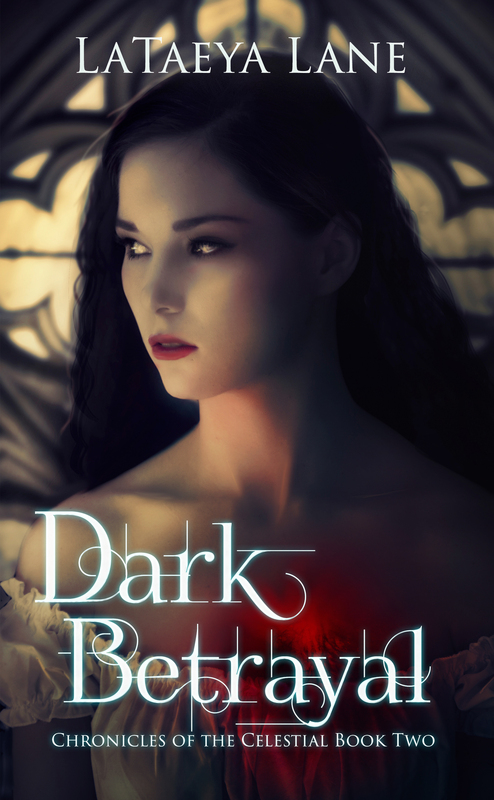 The story follows a young woman and her two friends as she tries to make a better life for her and her daughter. Living the life of a criminal, Rocky and her two friends have knowledge and experience in robbing houses. They soon come to learn that a local blind man is sitting on hundreds of thousands of dollars of settlement money. The three decide to rob the man with the hopes of everything going smoothly. The plan is underway but things soon go sour despite the blind man’s disability. I give this movie 5 stars, this is the type of film that people will be talking about for a long time. Go see it, if you haven’t already! Marvel’s Captin America: Civil War wasn’t as good as I thought it could be. 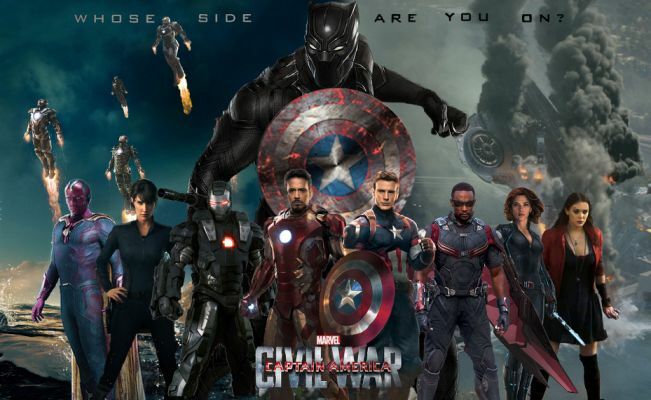 Directed by Joe and Anthony Russo and starring Chris Evans and Robert Downey Jr, the movie felt like an Avengers reject project with the exception of Ironman’s storyline. I’m not going to give too much away, but the battle between Ironman and Captain America was highly overrated and uneventful. The storytelling process was way off for me and it took production two in a half hours just to reveal the truth behind Tony Stark’s past. I don’t understand why they couldn’t tell the important part of Stark’s story within his own movie and just let CA’S story be enough. I realize that stories will overlap within the Marvel Universe, but it just wasn’t enough for me to be satisfied this time. Some of the characters I really liked but I felt that there were just way too many at one time. The amount of characters just tried to overshadow the lack of storytelling. I don’t like the idea of good guys battling each other, but now that seems to be the norm within the superhero comic world. Everything else was fine, the special effects were good and the action was ok. I just can’t remember what the initial mission was for the Avengers. If they make another CA movie, I will wait for it to come out on Dvd. It is Jake and Liz’s wedding day and of course the groom is late due to Carly’s car accident. Jake’s real identity has finally come to light by none other than Carly, and Jake is in denial over the evidence. Jake feels that Carly is rambling on with nonsense but what she is saying is true. Despite all the warnings Liz is planning on going through with the wedding of her dreams but I hope that Carly can jog Jason’s memory somehow. I don’t understand why he won’t accept the truth about himself, but it looks like that is going to change and the whole town is going to learn the truth. I believe that Jason is afraid of really facing the truth and knows that once he accepts it, the world he presently has known will change drastically. I hope that Laura does make an appearance at the wedding to stop it if Jake does try to proceed. Things will soon fall apart for everyone, I read that Patrick is on his way out, which makes sense because he has no luck with women. 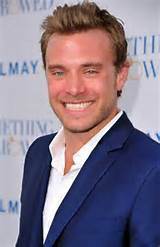 Liz will become the most hated women in PC while Jason and Sam will make an attempt to rebuild a marriage that has been long gone. Ava thinks that Paul’s influences will help but there is no telling who will get custody of baby Avery. I have no idea where Anna’s story is going, but I did read that Robin and someone from Anna’s past will be showing up very soon. The whole psych help is playing out for me. Anna used to work for the WSB, she needs to toughen up and deal with the fact that she killed Carlos.